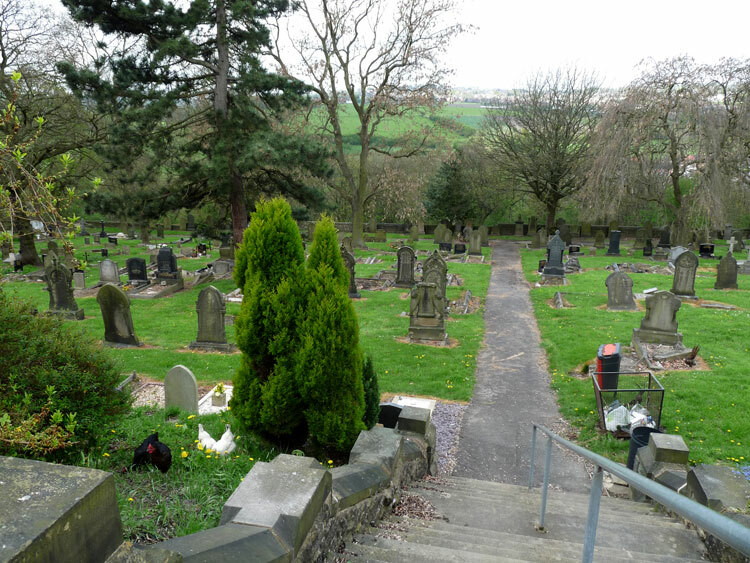 Leeds (Farnley) Cemetery contains 5 burials of the First World War and 2 from the Second World War. 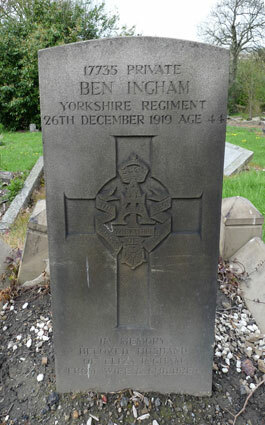 One soldier who served with the Yorkshire Regiment is buried in this cemetery. We are extremely grateful to MIke Berrell for providing the photographs of the headstone as well as a general view of this cemetery. To view a larger sized image of the headstone, click on the thumbnail. Close the window that opens to return to this page. 2nd Battalion the Yorkshire Regiment.Son of John & Sophia Ingham. Husband of Eliza Ingham, of 13, Danube Terrace, New Wortley, Leeds. Died at home 26 December 1919. Aged 44. 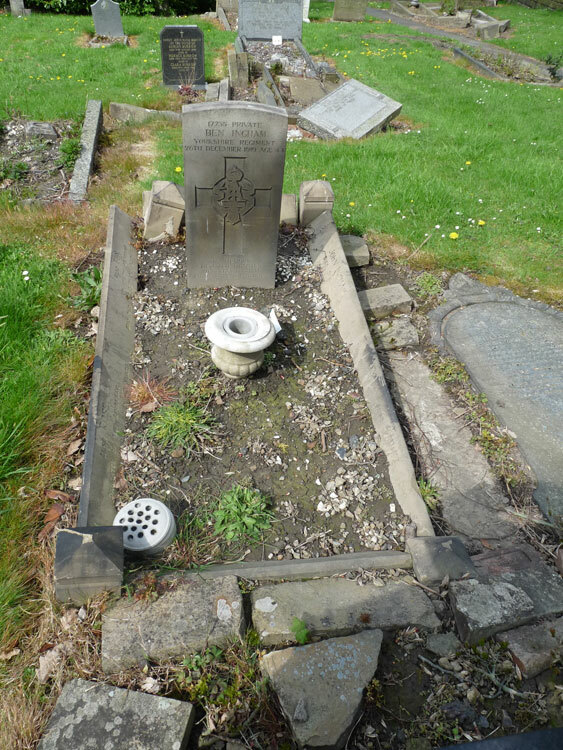 The Ingham Family Grave in Leeds (Farnley) Cemetery in which Private Ingham's Headstone is located. A General View of Leeds (Farnley) Cemetery, - complete with chickens in the foreground.